One of the world’s top 150 universities under 50 years old, Ulster is a young, dynamic and innovative university with a spirit that transforms lives, stretches minds, develops skills and raises ambitions. Ulster is consistently regarded as one of the most outward-looking institutions in the world, ranked in the top 25% of UK universities for world-leading research based on research power in REF 2014 with 72% of our research activity regarded as ‘world-leading’ and ‘internationally excellent’. Our research is heralded as globally significant with local relevance. We are one of the top five universities in the UK for world-leading research in Law; Art & Design; Biomedical Sciences; and Nursing in REF 2014. In addition, we invest £40 million in research activities each year, having public impact in areas such as Health Sciences, where our scientists have made the first breakthrough in 40 years in the global battle against pancreatic cancer. 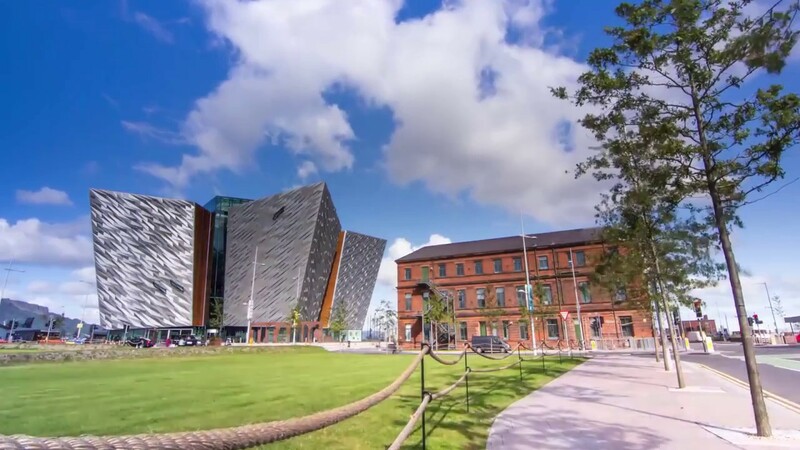 Ulster also has a proven track record in research innovation with the creation of 19 spin-out companies with a combined turnover of £21 million and employing almost 300 staff. Ulster University continues to expand our presence, both physically in facilities and in our contribution to society in Northern Ireland. We are investing £263 million in our state-of-the-art Belfast campus, opening in 2020, and an £11 million extension recently completed at our Magee campus. Ulster is also working towards establishing Northern Ireland’s first Graduate Medical School, opening in 2019 which will produce future generations of health and medical professionals locally and internationally. Ulster University warmly welcomes international students from over 100 countries to our four campuses across Northern Ireland. Creating highly employable graduates and future leaders is at the very heart of our learning experience. This is reflected in over 2,000 of our students on work placement annually – one of the largest work-based programmes of any UK university. We are firmly committed to providing the best learning experience and environment for our students and have recently invested over £30million in teaching facilities, student hubs and sports facilities across our campuses. Belfast can only be described as the ideal student city. Not only is it the most affordable city in the UK to live and study, it’s also the safest and recommended by Lonely Planet as ‘Best in Travel’ 2018. Our Belfast campus is located in the heart of Belfast’s Cathedral Quarter and our £263million investment in this campus will provide state-of-the-art facilities for our students and staff. The Jordanstown campus is our largest campus and located only seven miles north of Belfast, whilst our Coleraine campus is our destination campus with a wealth of natural assets on our doorstep, including the Causeway Coast – another ‘Best in Travel’ 2018 by Lonely Planet. Our Magee campus offers an intimate learning environment in the heart of Northern Ireland’s second city, Derry-Londonderry. As one of Northern Ireland’s largest employers, Ulster University employs over 2,500 staff members and with a growing global reputation the number of international staff joining us also continues to grow. We fully recognise that people are our most important asset and Ulster has invested significantly in attracting and developing the best in global talent. The University is committed to realising the full potential of all its staff and provided a full range of training and development opportunities. Northern Ireland is renowned for its friendliness and warm welcome. Not only are we the happiest place in the UK but we are also one of the safest. Our vibrant cities, unspoilt countryside, efficient public transport and minimal congestion ensure a quality of life surpassed by few. Northern Ireland is also one of the most cost-effective regions of the UK to live and less than one hour’s flight time from London and other major UK cities.